Until April 30th you can buy the book at a 50 % discount from Dogwise (US), amazon.co.uk or YPD Books (UK, worldwide shipping). Buy the book from Dogwise in the US. Buy the book from Amazon.com in the US. Distinct pedagogical explanations and lists of sub-goals to make your training easier. What makes this book necessary? We wrote the book Retrieving for All Occasions because this is the kind of book we would have liked to read when our first dogs were puppies, a book presenting the basic training for our retrieving and flushing dogs, a book offering concrete advice and making us understand where the exercises were leading us and a back that was inspiring and interesting to read. To our surprise we discovered there was no such book available – because we hade one more requirement: all training must build upon positive reinforcement, without physical or verbal corrections. Traditionally that kind of rough, corrective training has been considered necessary in dog training. Now we know there are alternatives. As an extra bonus you get the boosting of the relationship between yourself and your dog. Training together is supposed to be a joyful chore! This book contains our “recipes” for dog training, but as we all know there is more than one recipe for chocolate biscuits. We continuously improve our recipes, inspired by others, and recommend you to do the same – pick the plums from the book and add them to your own favourite recipe. Why should I read the book? You will find there is a lot of re-thinking in the book. You will find examples of the basic training of your gun dog, from the initial deliveries to hand all the way to composing tricky sweep ups or directional retrieves with challenging distractions. No less than 116 drills are described in the book. You will find information about this special training procedure. What, specifically, does it mean to include the “clicker philosophy” in your training? What are the cornerstones? Why do we do what we do? What are the effects? The book proceeds from retriever training, but almost everything you teach your retriever you can favourably also teach your spaniel. There are certain differences, which we point out. The most important difference between spaniel- and retriever work is the search. The spaniel works primarily before the shot, quartering and flushing the game, the retriever after the shot, finding and retrieving the game. If you wish to immerse into that part of spaniel training there is a variety of books on the subject. In our book the spaniel’s search is only mentioned quite briefly, as we devote our interest to all parts of the retrieving training. 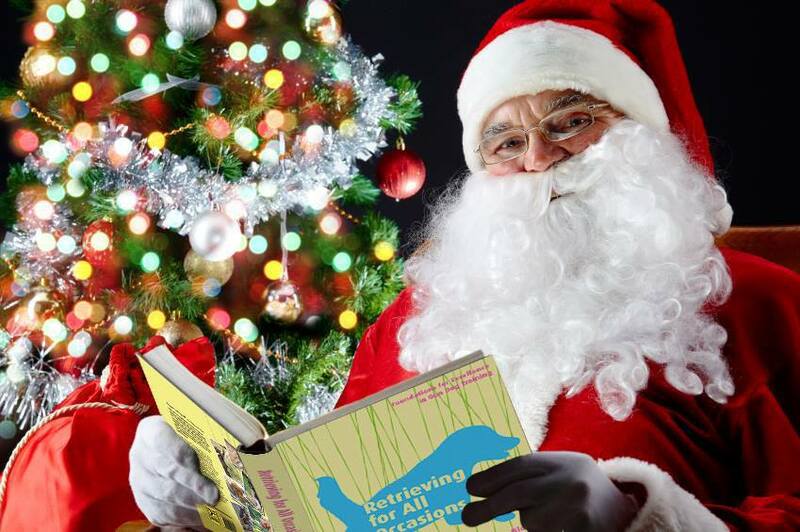 You don’t have to own a spaniel or a retriever to be able to benefit from the book. Every bird dog is in fact a retrieving dog, so any owner of any other bird dog breed can profit from reading the book. Even if your dog is not a bird dog at all, you can achieve real good retrieving abilities as an activation for your dog. But does this “clicker philosophy” really work in field trial training? Clicker training is not an idea we ourselves have invented. It is a well-documented method used for training many different animal species, from hens to dolphins. 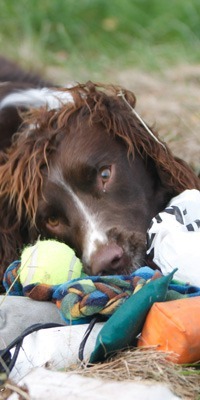 Making use of it in gun dog training is however relatively new. According to our knowledge we can only state that it works extremely well for teaching dogs the basics – which is what the whole book is about; basic training if you are curious about taking up retriever training and possibly field trialling. We know of several people who have gone far and achieved field trial championships by working exclusively according to clicker principles. Other dog sports such as obedience and agility happen to have several clicker-trainers in their absolute elite. Of course we cannot guarantee you a field trial champion if you work the way we preach, even though we sincerely believe that this method is (at least) as good as any other. What we however can guarantee is that you and your dog will have lots of fun together! Do you want to sell our book? If you are an instructor, a breeder or have a dog school you may be interested in retailing our book. Contact us on info@retrievingforallinformation.com for further information about how we can make you a profitable offer. 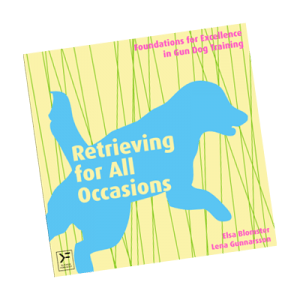 Retrieving for All Occasions – You know that book that “everyone” is talking about and that “everyone is raving about”.